Checked out the Score supermarket here in Reunion today, wearing my NZ trade commissioner hat, and was deeply disappointed. No Anchor anything, no Montana or Cloudy Bay, no Steinlager, no lamb. Tch. Those French and their protectionist policies. Ah, but the cheeses! Twenty local ones made from cow, goat and sheep milk, plus a good selection of France's 500-odd. 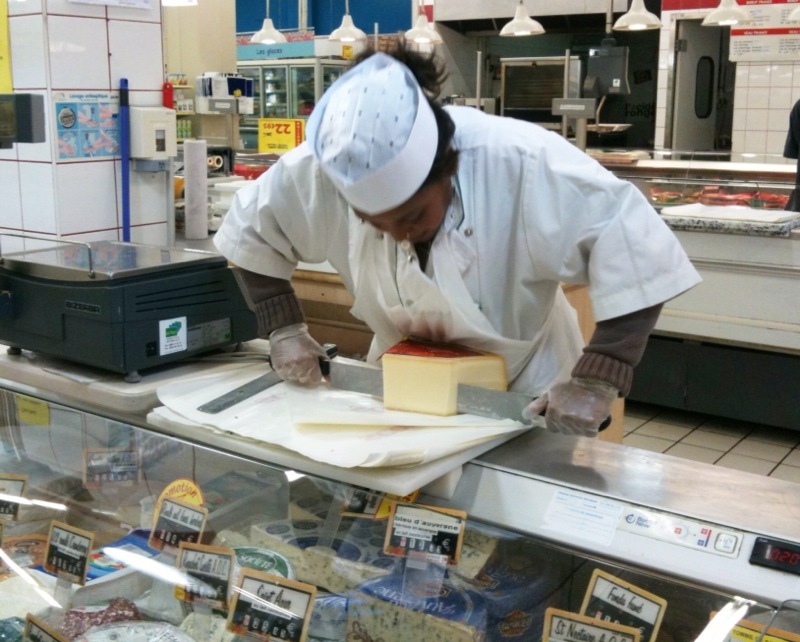 I love to watch the cheese ladies wielding their double-handled cleaver on the big wheels. Take it from me, Parmesan is the most fun.